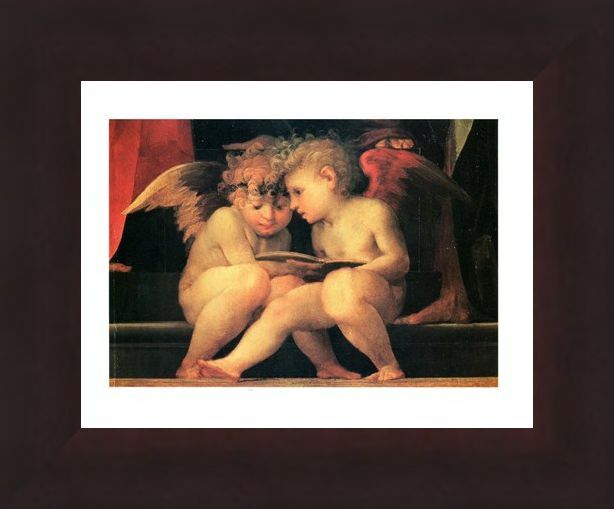 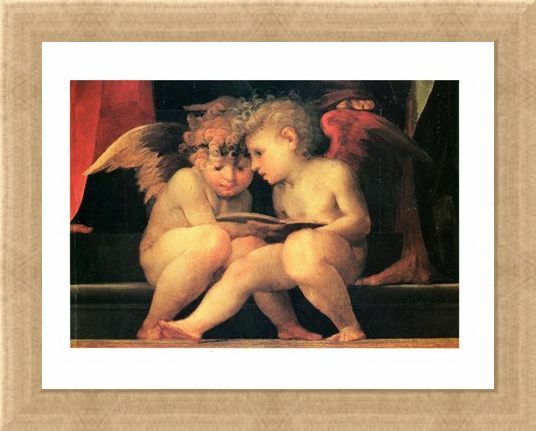 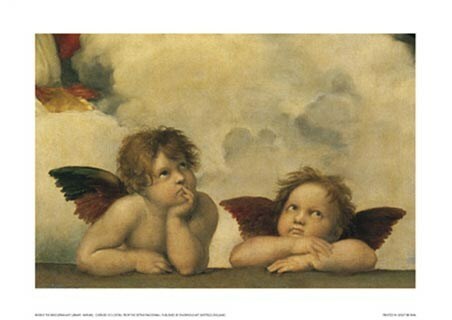 Mini Art Print: Enter a world of romance and charm with this enchanting image from Italian Mannerist artist Rosso Fiorentino hanging from your wall. 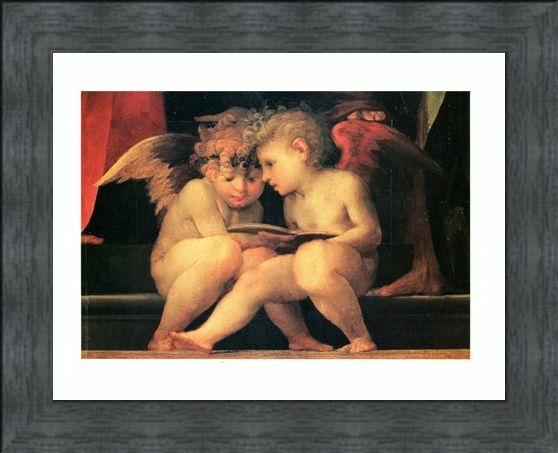 One of the leading renaissance artists of his time, Fiorentino uses depth of colour and intricate detailing to bring his subjects to life. 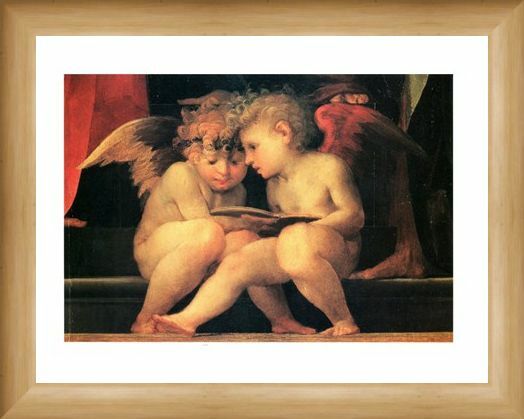 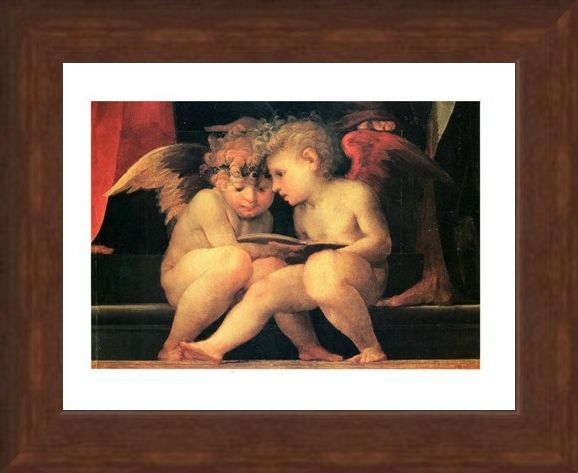 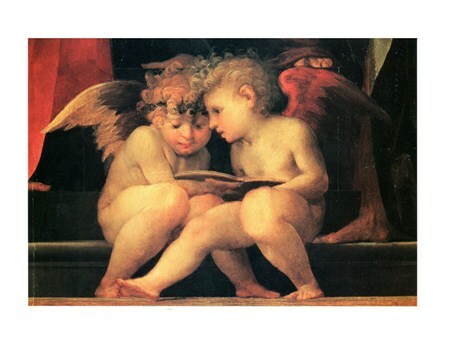 This adorable image depicts two cherubs reading together and is entitled, 'Madonna E Santi'. 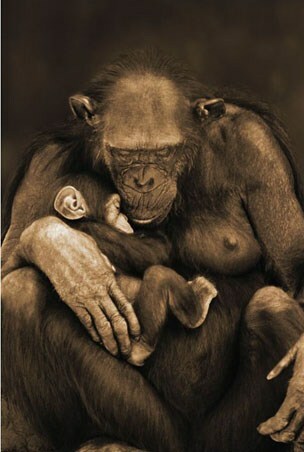 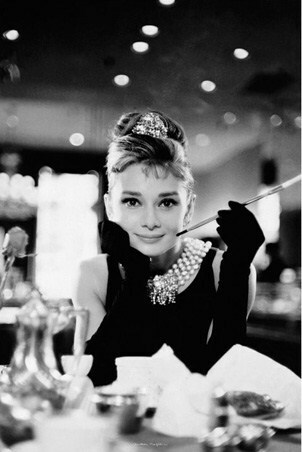 Welcome the warmth and romance of this charming print into your home, perfect for any Fiorentino collector. 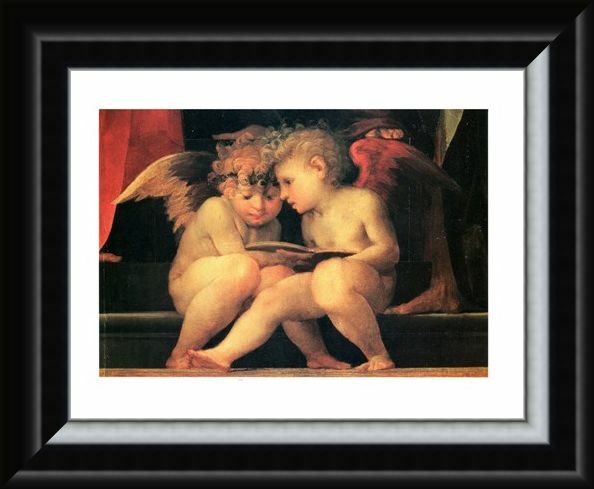 High quality, framed Madonna E Santi, Rosso Fiorentino mini print with a bespoke frame by our custom framing service.